"Both of these seemed to answer a lot of issues including a better location for the Delridge station, properly relocating the Avalon station, keeping the Junction station underground," said WSTC board member Chas Redmond. "And having a tail-track which pointed south (instead of west) at the Junction station so further development could continue the Link line to Burien and beyond on later initiatives." 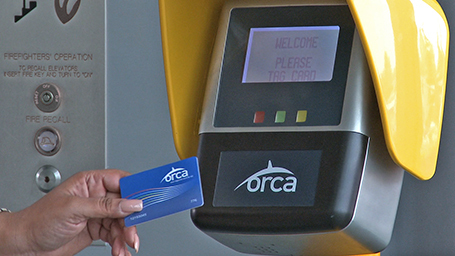 Also discussed, was the city offering free ORCA cards to vulnerable residents. While board members applauded the city's new program providing Orca cards to Seattle Public School high school students, Redmond voiced that the city should also provide cards to people experiencing homelessness. "The ORCA cards for students is a good move, but the number of homeless is a lower number (12,040 or thereabouts) and the homeless are equally worthy of being provided transit passage - at low or no cost," he stated to Westside Seattle. "The argument that they are incapable or lower capacity to take care of the card, or might sell the card, are valid arguments but don’t apply to the majority of the homeless that I’ve met and conversed with. There are many who would honor having the card and would make use of the card. It would give them a degree of freedom they don’t have now and also provide a sign that the city had hope and trust in them as individuals." Redmond said those people would need to be responsible for their cards, and lost, stolen or sold card issues shouldn't fall on the city. He also said the idea makes more sense than reinstalling the ride free zones. "I think the ride free zone is an additional useful tool, but honestly I see homeless from Burien all the way to Shoreline using the bus system," he said. "So the limitation of the ride free zone, though it helps those in Pioneer Square and the Market area, doesn’t help others who are equally in need of transit." The WSTC will meet again in July, but take a summer break in the month of August. Visit the our West Seattle Herald Facebook page for live coverage of the WSTC meeting.